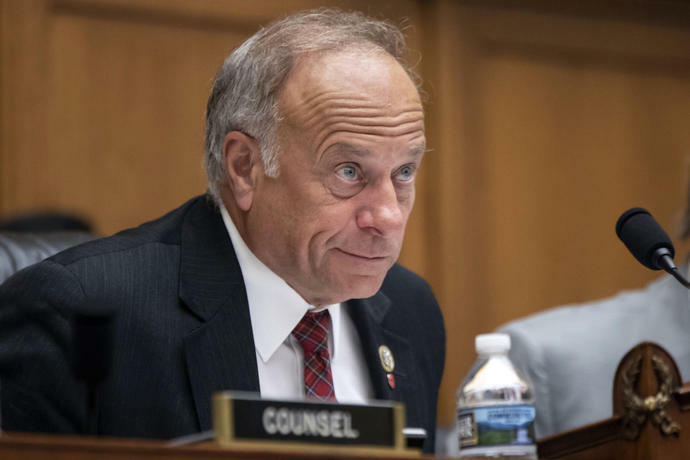 WASHINGTON (AP) - The House Republican leader said Sunday he will meet with Rep. Steve King this week to discuss King's future and role in the party and promised action following the Iowa congressman's recent comments in defense of white supremacy. "That language has no place in America. That is not the America I know and it's most definitely not the party of Lincoln," said House Minority Leader Kevin McCarthy, R-Calif., referring to President Abraham Lincoln. "Action will be taken. I'm having a serious conversation with Congressman Steve King." King was quoted in The New York Times last week as saying, "White nationalist, white supremacist, Western civilization - how did that language become offensive?" King has insisted he is an advocate for "Western civilization," not white supremacy or white nationalism. King's comments ignited a firestorm, drawing condemnation from the top three House Republican leaders. GOP Sen. Tim Scott of South Carolina, who is African American, aired his disapproval in a newspaper opinion column.